If there is an additional topic which you believe needs to be addressed, please contact us with the relevant information. NOTE: For articles on public transport systems in specific cities and countries, see Rail Transit Systems and Success Stories and New Rail Transit Systems Proposed, Planned, or in Development. Los Angeles: $154 million conversion to turnstile fare collection hits $46 million snag, gets denounced as "boondoggle"
Stop FTA's Plan to Raid Federal Transit Funding for Roads! "Free" buses vs. "expensive" rail? 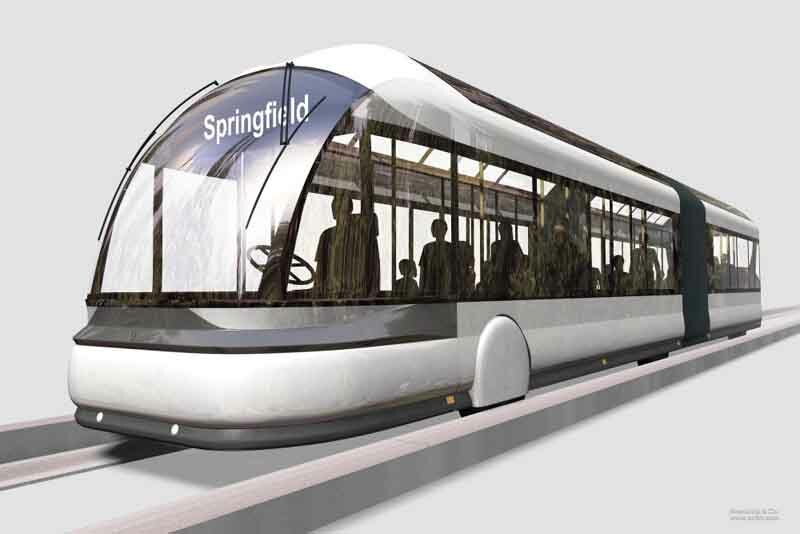 Kansas City Light Rail: Would Rapid Streetcar + Budget Engineering = a Viable Project? London: Lower public transit costs, better services – all from out-sourcing operations? Boston: "Big Dig" highway project a "waste" with less than 2% of urban trips? USA: Two-trillion-dollar investment in Interstate Highway System? MythBusters: Transit fares out of control? Federal GAO Report Shows: it's BRT (and Heavy Rail) With the Big Cost Overruns, Not Light Rail! Transit Automation and Operating Cost – Where Are the Huge Savings? Does Light Rail "Rob" Bus Service, or Make it Prosper? You Decide! 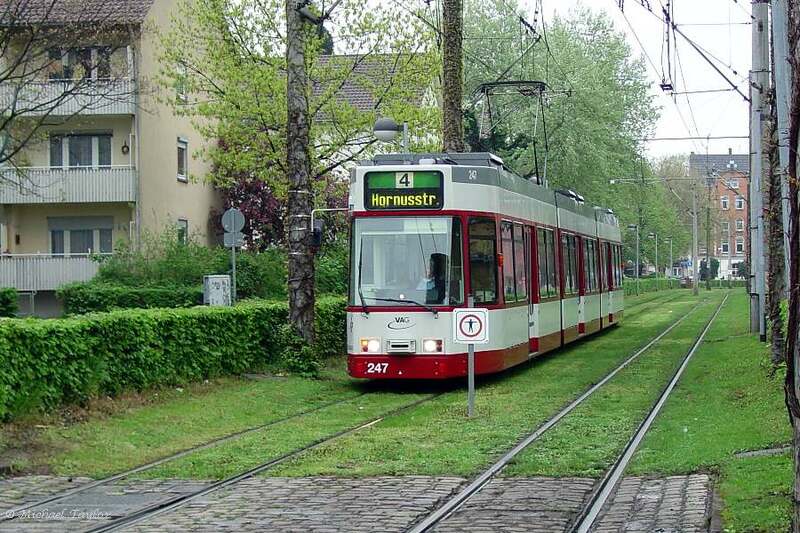 Light Rail Use of Surface Streets and Arterials – On the Increase? Transport Energy Debate: How Many BTUs on the Head of a Pin? ...er...Power Line? Why Build a Light Rail Transit System? 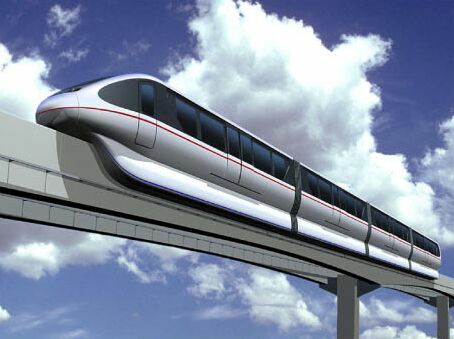 Boise (Idaho): Mayor favors "trolleys" or "some form of light rail"
Randal O'Toole's "Great Rail Disaster": ideological Train Wreck Disguised as "Research Study"
Las Vegas Monorail: More technical limitations coming to light? LRT: "Antidote to Congested Freeways" or Wasteful "Disaster"? Kalamazoo: Pro-transit vote edging city back toward a real (rail) transit system? In Tucson and Elsewhere ... Public Policy and Investment, Not "Market", Led to Decline of Streetcars and Promotion of "Car-Centered Culture"
Australian Gold Coast: 70% in poll favor light rail over "rapid bus"
Research Study: Riders Prefer Light Rail to "Bus Rapid Transit"
NYC: New transport chief pushes more livable city, but anti-rail "BRT" campaign could be "booby trap"
Bush DOT's privatization & motorization scheme = "Been There, Done That"
Nearly 3/4 of Surface Transport Terror Attacks Involve Personal Motor Vehicles – So US Security Officials Focus on ... Trains? Amtrak: National Association of Railroad Passengers on Bush administration's latest plan to slash rail funding: "They still don't get it"
Bush budget proposal to kill Amtrak sparks widespread outrage...Move slammed as "irresponsible", "radical"
St. Louis: 56% in poll identify MetroLink light rail expansion as public works project "most important to region's economy"
American Public Says: Let's Have More Rail! Exposing Those Far-Right Propaganda "Think Tanks"
Far-Right "Think Tanks" (Propaganda Mills) – Who Are Those Guys? Ft. Lauderdale: Streetcar still desired  This time, it's "The Wave"
Los Angeles Undertakes "Biggest Expansion of its Mass Transit System in Decades"
New Haven: Streetcar starter line priced at "less than $30 million"
Providence: Will streetcars return to New England's "Creative Capital"? East Los Angeles Goes for the Gold ... With Opening of "La Linea de Oro"
Tulsa: Getting serious about rail transit? Ft. Worth: New streetcar plan moving forward? 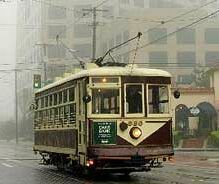 Detroit: Streetcars at last to make a comeback? Charlotte: Lynx Light Rail Transit Line Opens! Toronto: "Transit City" light rail development on a fast track? Newark: "Back to the Future" With Newark City Light Rail's New Broad St. Extension! St. Louis: MetroLink light rail's Cross-County Extension opens! Hudson-Bergen, NJ: Light Rail Ridership's "Booming", New Transit-Oriented Development is "Sprouting"
Norfolk (Virginia): Next American light rail project? Dallas: Light rail carries as many as 16% of residents in corridor – on a Sunday! Nottingham: NET light rail tramway ridership growing at "a phenomenal rate"
Salt Lake City: "Wildly successful" TRAX light rail system hailed for "surpassing ridership estimates"
Rail Transit Accounted for 84% of US Transit Passenger-Mile Growth, 1990-2000. Any Questions? Mass Transit's in "Decline"? Think Again! Light Rail's Besieged With Riders! This is a Problem? New York City's MTA holds off photo ban – but do the cops know?